Hey guys, I’m blonde!! Ha ha, I was totally missing my hair color from last summer, so I decided it was time to go back! In other news, it has been such a long week, but 7 weeks left before Summer has me excited! 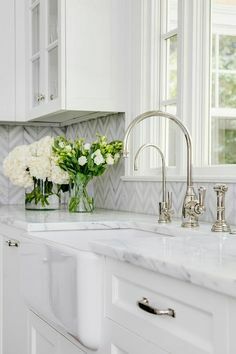 Today’s post is short and simple! The past weekend’s I’ve been living in leggings, so I decided to share a couple of looks when running errands. 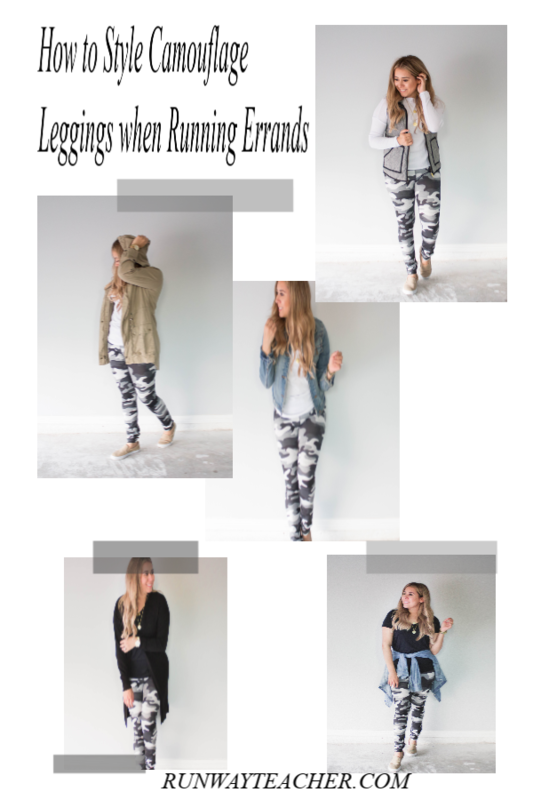 I’ve been running around town in leggings and there is no shame to it! 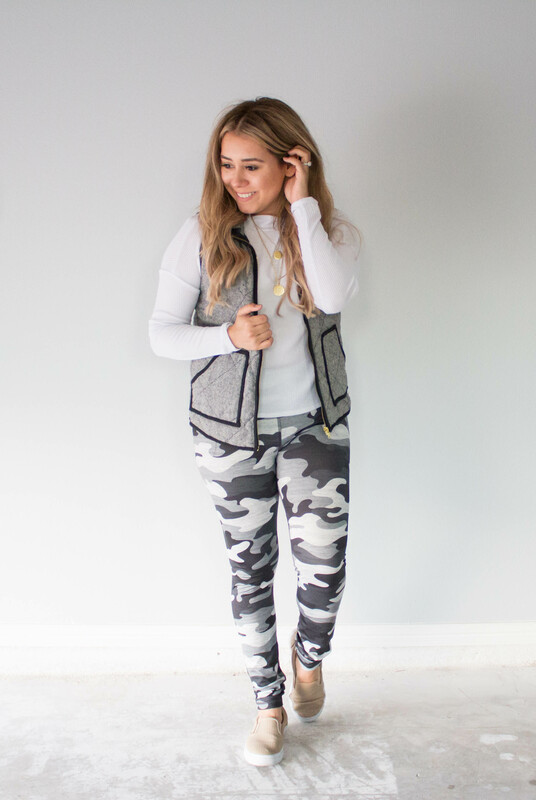 These camouflage leggings are not only comfy, but they are high waisted and stylish. After a long week of work, the last thing I want to do is wear heels. 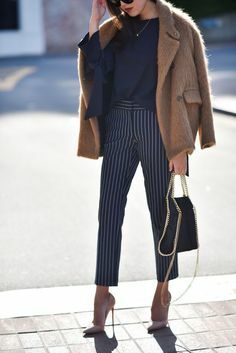 I find leggings rather easy to style, especially with flats! Anyway, let me know which one is your favorite look is below and have a wonderful week! These are great looks. I have been in a style rut these past days so I long for leggings during the weekend, but I typically just wear a huge shirt over. ‘ll have try the denim wrapped around my hips thouhg, that one is cute. Glad you enjoyed my looks! Yes I always tend to wrap the denim top when I’m not sure what to wear with my leggings haha! 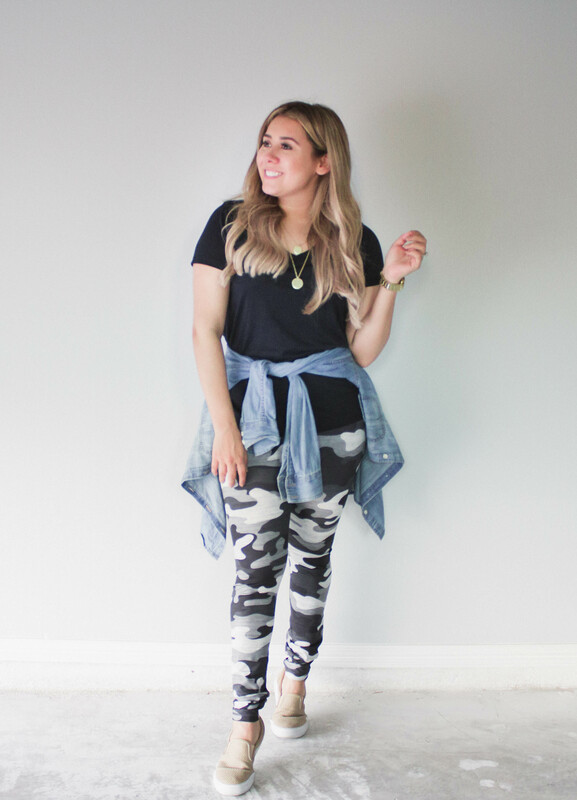 I have a pair of high waisted camo leggings and wear them all of the time! 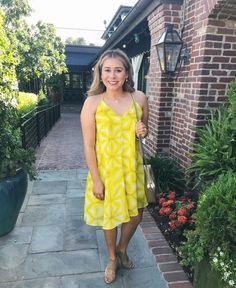 Love all of these cute outfit ideas! Especially the last outfit with the herringbone vest! Jill I am the same way haha! They are super cute! These leggings are so cute! Nina, they are! I love them! Your legging a rather cute hun and versatile too! Thank you Love! They are so easy and comfy to wear! 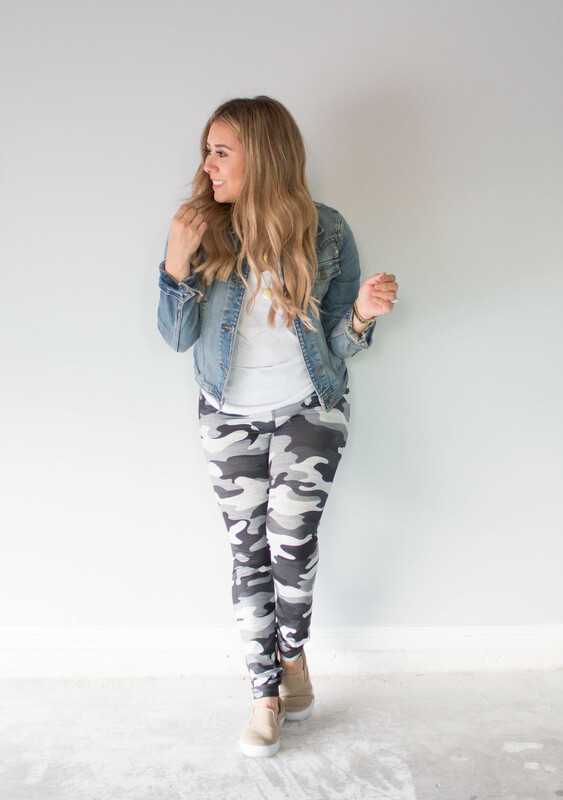 Look how cuuuute and versatile these leggings are! Well done, lady! 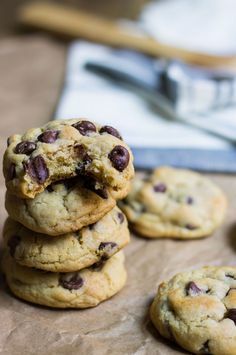 Aren’t they? I wear them almost every week haha! 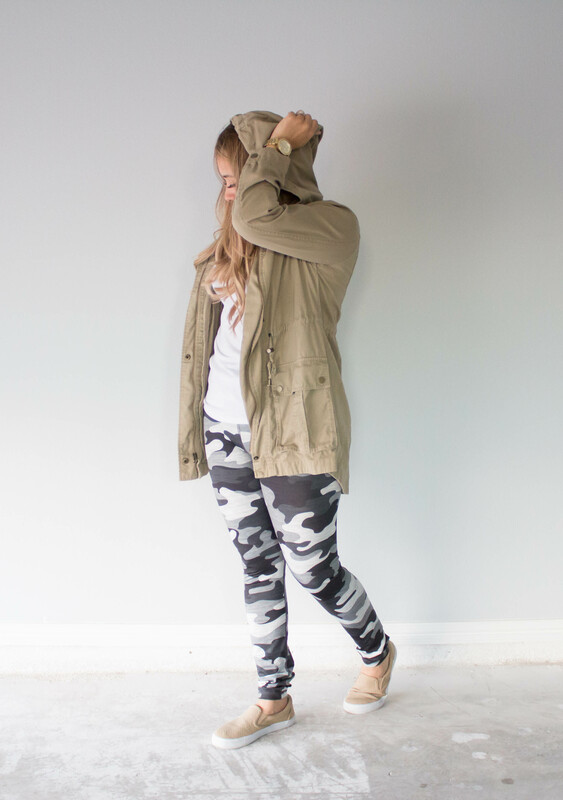 I totally want camo leggings!! Never thought about it. Love it! Yes they are super cute! They have some at burlington too!